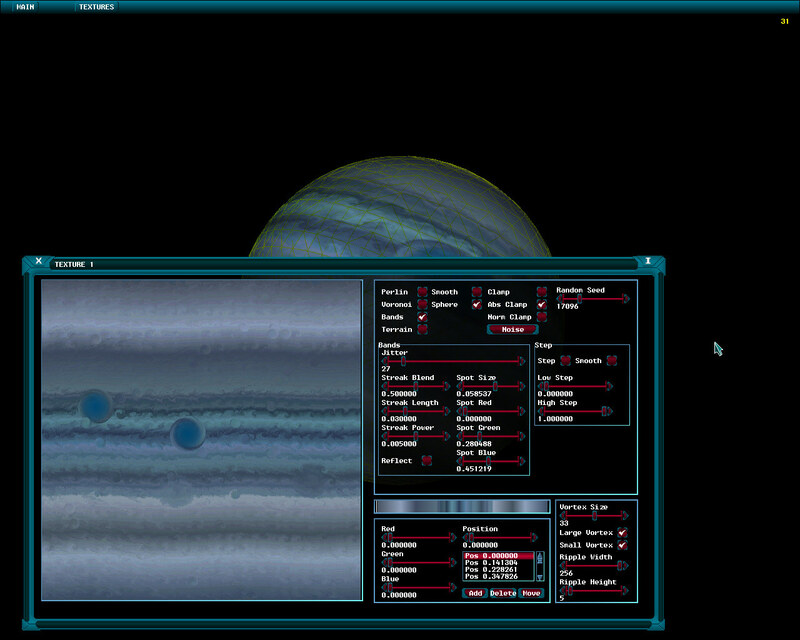 Ad Astra contains a comprehensive Star System Editor that can be accessed via the ‘F8’ key. The screen presented initially appears identical to that of the Galactic Map, however selecting a Star allows its celestial bodies to be added, deleted or their appearance to be changed. It should be noted that any configuration for a selected system will be lost if a different star is selected or the editor screen is left. Hence it is vital that the ‘SAVE’ button is pressed on a regular basis and after any desired configuration has been applied in order to prevent loss of data. The star systems themselves are saved in files in the ‘galaxy/systems’ directory such that the actual file name is based on the Hipparcos number. In order to revert back to pseudo random generation of a particular system then the relevant file should simply be deleted.